One cannot consider South Africa’s economic, social and environmental impact without very seriously considering the role of energy. 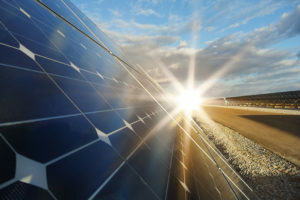 While in the long term we need to disconnect our economic growth from our energy growth, in the short to medium term the concepts of energy and environment are inextricably linked and of fundamental importance to business. Given that our energy is constrained by supply challenges, how efficiently we use our energy (energy productivity and energy efficiency) is core for business continuity and growth. The NBI has a rich history working in partnership with our government on energy and energy efficiency. We host the Energy Efficiency Leadership Network (EELN), a group of companies working alongside the Department of Energy, to collectively drive energy efficiency learning and achieve ambitious targets in energy use reduction. 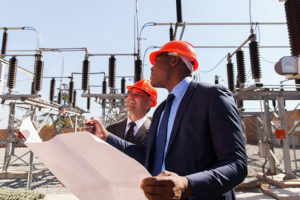 We recently ran the Private Sector Energy Efficiency Programme (www.psee.org.za) which identified thousands of energy efficiency opportunities across big and small businesses throughout South Africa. Sustainable Development Goal (SDG) analysis. SDG 7 is “Affordable and clean energy” with the key target being “by 2030, double the global rate of improvement in energy efficiency”. This aligns well with the objectives of the EELN. The targets of SDG7 align very closely with the National Development Plan (NDP). Our work on the Green Economy, where we asked over 130 multi-stakeholder participants to identify their priority investment areas for South Africa, identified the following investment areas in energy: smart grids and smart meters, small scale solar PV, energy efficiency in public and private buildings, small scale embedded energy generation, waste to energy, energy storage, expansion of the REIPPP. The NBI then did some further work on the NDP and how business could help implement the NDP. The NBI members identified 6 priority areas with one being to explore the role of gas in the South African energy mix. A critical component of our energy work is its alignment with climate change and the work we are doing with the global coalition We Mean Business (WMB). WMB aim to align business commitment around renewable energy and energy efficiency and productivity to help drive progressive policy that enables economic growth sensitive to environmental opportunity. A key piece of work was the NBI Socio-Economic Scenarios and Energy Pathways which provides a key tool to engage on energy and energy development in South Africa, including the role of Energy Efficiency. The recent work we have done on energy scenarios allows us to take forward the conversations between the public and private sectors around energy futures. NBI member companies plan to work together with government and other stakeholders to identify areas of meaningful impact that we can plan and execute together. This includes exploring the role of renewables and gas in the energy mix. The NBI will be hosting a series of executive dinners in 2017 in order to unpack how we can further support engagement with policy on energy development (IRP/IEP/Energy Efficiency Strategy). 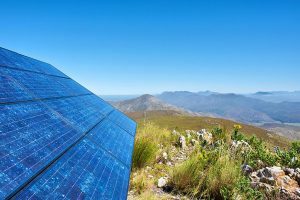 In 2016 the NBI, with significant support from SolSquare and several of our members, hosted two workshops on Rooftop Solar in South Africa, one in Johannesburg and one in Cape Town. These sessions were very well attended (over 200 people in total) and covered an end to end of rooftop solar, looking at technology, city requirements, Eskom requirements, legality and on- and off-balance sheet finance. More information is available on the NBI website. We have also been working with Nedbank to update the booklet on Energy Efficiency Finance that was released by the PSEE. The NBI has been using the data gathered from the PSEE to provide insight into this process. The aggregated data from the PSEE was also shared with Government to support their drafting and implementation of the Energy Efficiency Strategy. Finally the NBI has been working with the Department of Energy (and other players) on a number of key internationally funding proposals to create an expanded version of the PSEE that supports both the public and private sector and provides additional financial support. More detail on the scenarios and the NBI DOE proposals can be found in the presentation to the August meeting of the EELN.